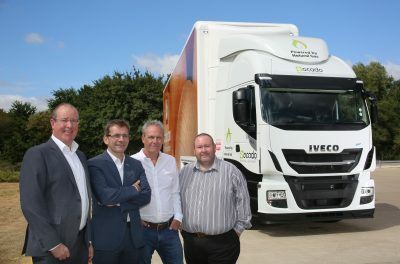 Online supermarket Ocado is set to take on 29 new IVECO Stralis NP tractor units marking the largest order for single-fuel gas-powered trucks of any manufacturer to-date in the UK – with the refuelling infrastructure provided by Gasrec. Supplied by Guest Truck and Van, five of the compressed natural gas (CNG) vehicles (AS44S40T/P NP) will enter service immediately, operating out of the company’s Dordon CFC (customer fulfilment centre) near Tamworth. 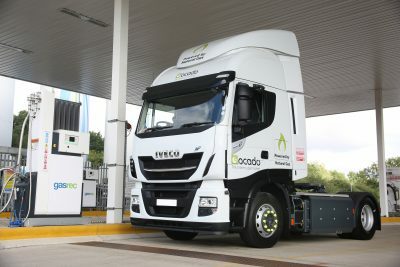 The remaining 24 trucks will go into operation later in the year when Ocado’s dedicated natural gas refuelling facility is opened by Gasrec at its Hatfield CFC, in a move that boosts the green credentials of its 147-strong fleet of heavy vehicles. Stuart Skingsley of Ocado, says: “We were immediately attracted to the Stralis NP when it was launched as it appeared to be the step change in technology that would drive gas powered trucks to a new place in the market. The demonstrator vehicle received positive feedback from our drivers, and our own experience driving the vehicle was also positive. 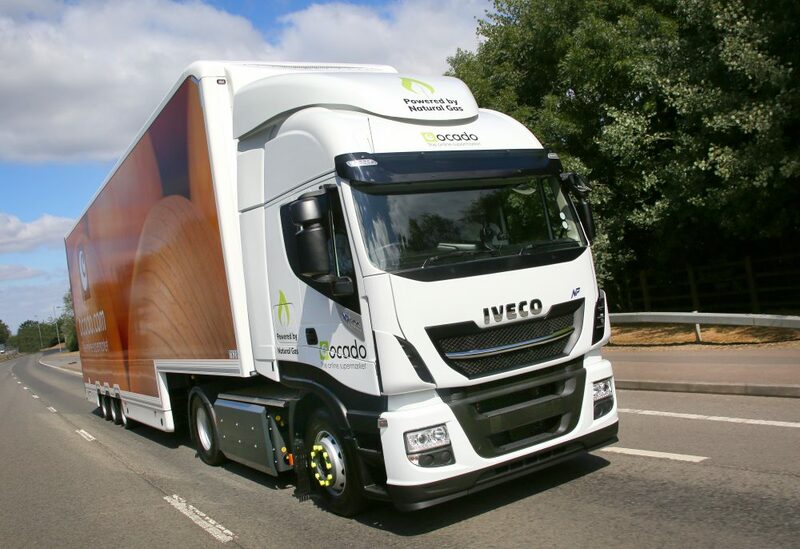 Ocado has opted for a full repair and maintenance package with Guest Truck and Van throughout the five-year lease period, which will see all servicing work take place within the IVECO network. 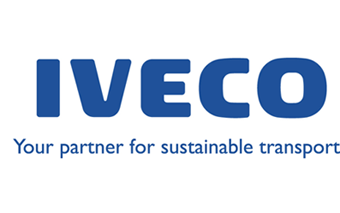 Pierre Lahutte, IVECO Brand President, says: “Ocado has earned a reputation as an environmentally responsible company and they recognise the expertise IVECO has as the leading technology developer in the natural gas-powered commercial vehicle sector. The Stralis NP is powered by a Cursor 9 Euro VI natural gas engine which doesn’t require any diesel or petrol-derived fuel, and benefits from a maintenance-free and AdBlue-free after-treatment system. It delivers the same output of 400 hp and 1,700 Nm torque as its diesel equivalent, resulting in an excellent power-to-weight ratio, power density and quietness of operation – perfect for Ocado’s operation, where artics typically operate at gross vehicle weights up to 38 tonnes. Each vehicle emits 50 per cent less NOx emissions, 95 per cent less particulate matter versus Euro VI limits, and 95 per cent less CO2 when using compressed biomethane. They are fitted with eight gas tanks, offering an expected range of up to 600km. This fuel also offers the opportunity for Ocado to reduce its running costs thanks to natural gas being around 30 per cent cheaper than diesel. Today, the Stralis NP range of heavy trucks have become the first gas-fuelled trucks ever to combine the power, range and driving comfort offered by their diesel-powered equivalents, presenting fleets with the opportunity to make their transport operations even more sustainable. Ocado is the world’s largest dedicated online grocery retailer with more than 580,000 active customers globally. The company is working to become the UK’s most environmentally-friendly supermarket and in 2017 continued a five-year trend of improving its energy efficiency, resulting in a 27 per cent improvement since 2012. 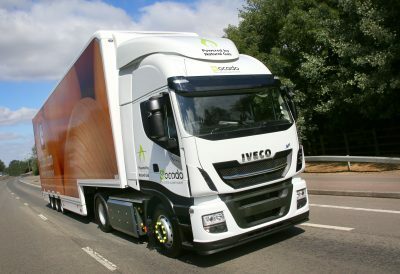 Ocado has earned a reputation as an environmentally responsible company and they recognise the expertise IVECO has as the leading technology developer in the natural gas-powered commercial vehicle sector.